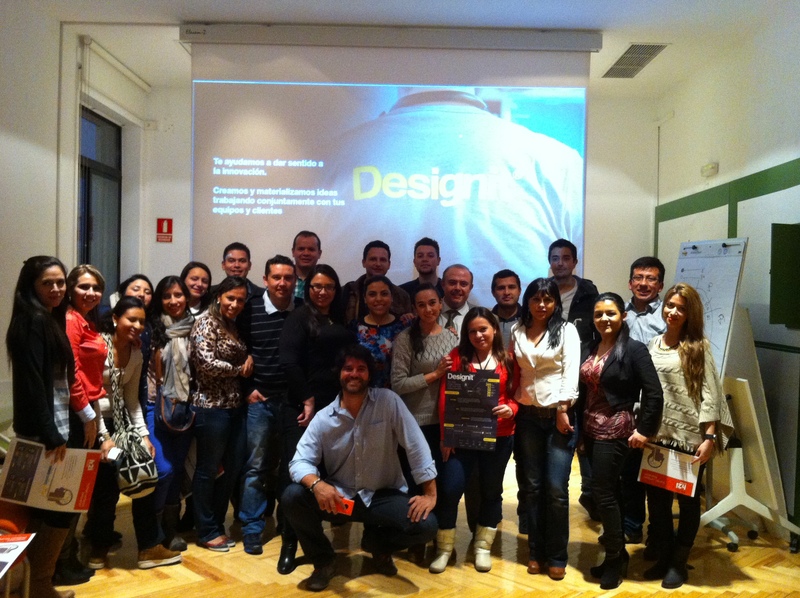 Madrid, November 28th of 2014 – The international program in Marketing Strategic, aimed at students from specialization in Management and Project arrangements closes a satisfactory month in postgraduate school from university Sergio Arboleda has been the main character of our center. At the same time, the students have been able to prove by themselves the application in the practicum of previously learned contents in the classroom, by visiting top companies in each sector, sucha as : Acciona, Sage Ibérica, Grupo CMC, la multinacional conservera Calvo, Grupo Actual, Designit, Musicam o la Sociedad de Prevención de Riesgos Laborales FREMAP; as weel as institutions higly recognized such as el Tribunal Constitucional, el Tribunal Supremo y el Colegio de Abogados de Madrid. All these programs made part of the big bid University Sergio Arboleda does I order to give an international educative experience for the students that at the same time complements and give value to the titles obtained.